Later today I fly home, but just for the moment I am lying in a little white room with lace curtains, on one of two heavy old wooden beds, on the nightstand next to me a linen cloth embroidered with blue cross stitch and above my head an embroidered German homily also in blue thread. And through the open window there are long periods of total silence broken sometimes by a cockerel or a dog or a series of dogs passing messages up the street. Very occasionally I hear low voices, women passing. The air is absolutely still, no stirring of those curtains. 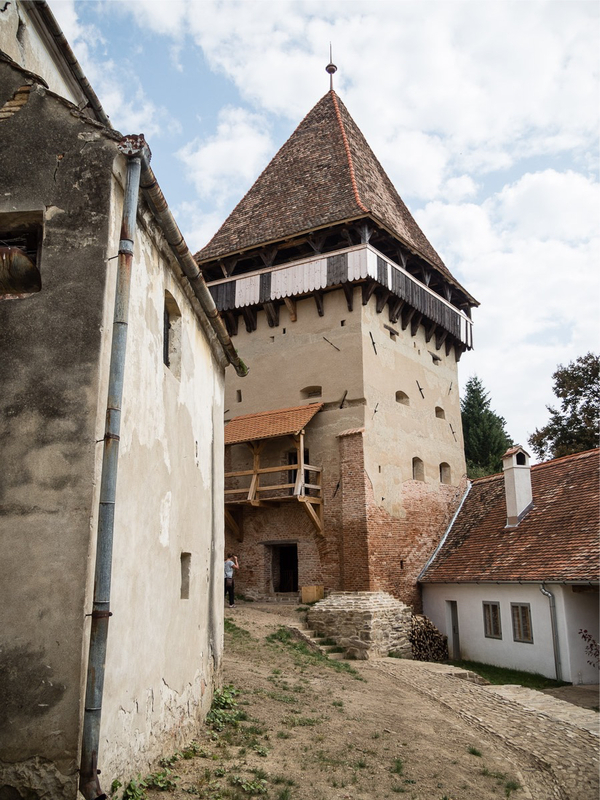 This house had been abandoned but brought back to life to provide village rooms for tourists it has a semblance of the way it was when its original Saxon inhabitants dominated this small area of Transylvania. Opposite on the high point of this small village is a citadel, a fortified church that provided shelter for the original villagers from the chaos of the Austrian Hungarian wars that raged around.